Ron and Maggie Tear Photography: Arctic Fox on the run. 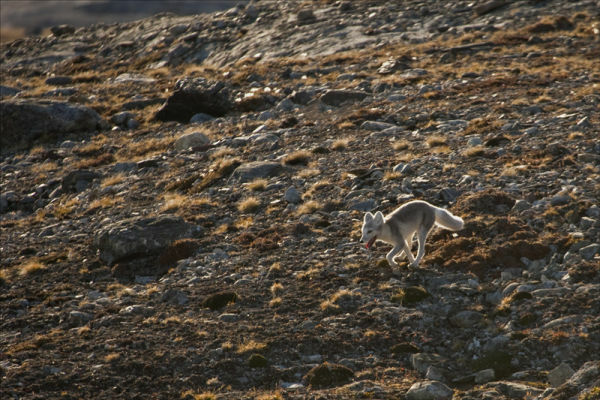 Arctic Fox on the run. This fox is the same individual as previous image, it was after a second Barnacle Goose chick. It is very important that a food supply is available during the harsh winter on Svalbard. A larder thats aquired during the hieght of Spring/Summer to keep this fox alive ! Blomstrandhalvoya, Svalbard, Arctic, Arctic Ocean.